Should Parents Encourage Their Children To Pursue a Career in Acting? 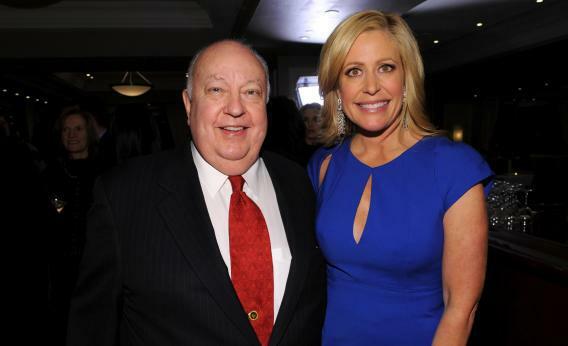 Melissa Francis, pictured here with Roger Ailes, is now a journalist but she was once a child actress. First of all, I don’t think my story or most of the sad tales you hear about child actors are the fault of the industry. Usually, the problem begins with the type of person that decides to pour his or her ambition into a child and make that child a star. It takes a unique person to be clever, resourceful, ambitious, tenacious, and focused enough to conquer the industry and beat out the massive competition, especially on behalf of their offspring. Unfortunately the qualities that make a killer Sta Mother aren’t necessarily the ones that make a great parent. That said, if a child has a talent and passion for professional acting, there’s nothing wrong with it. Kids can acquire a great work ethic, confidence, and even make money. Of course the flip side is what he or she may be missing. In my case, I still went to school full time and had regular friends, but that’s rare. A parent also must judge if a child has enough confidence to stand up to the constant rejection. Professional acting is not the same as starring in a reality show, I would caution. The public judged me for my acting ability. But my soul, my real self, was still kept private. Honey Boo Boo and the stars of Dance Moms and all the others are faced with criticism and even ridicule as themselves. They can’t hide behind the characters they are playing. The public punches holes in their intelligence, appearance, and background. I worry about the impact of that on those kids down the line. Would you let your children play football? Should kids be taught to believe in Santa Claus? Is it ok to breast feed a baby in public?